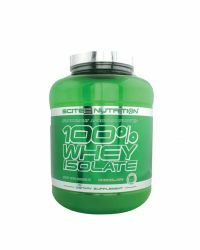 Treat your taste buds and muscles to exactly what they deserve, a forceful serving of whey protein hydrolysate and concentrate ready to saturate your muscles and increase your recovery following intense workouts. Ration is like the Swiss Army Knife of supplements. Its versatility is as impressive as its amino acid profile. Chug it down after your workout or sip it throughout the day as part of a quick and easy protein drink. It is also a great option as a cooking protein due to the heightened taste of a blended protein. By supplementing with Ration, you are putting yourself in the most ideal anabolic state for building new muscle and losing body fat. If you take your training and recovery seriously, consider Ration to be part of your new daily regimen.